The thought of international travel is mostly filled with dread and fear and the first time this feeling dissipated was when I entered the Abaad office on the day of the meeting. I was on a 3 day trip to Beirut, Lebanon, along with Satish ji and around 15 other people from Lebanon, Pakistan, South Africa and US, organised by MenEngage Global Alliance, Sonke Gender Justice and Abaad- resource centre, based in Beirut. The plans for regional MenEngage work were discussed, especially in context of gender justice work with religious leaders and engaging men in women’s SRHR. Amongst all the must- sees in Beirut, the Abaad office is itself one. It has the most beautiful interiors- the chandelier, the stained glass doors and windows, an enormous front door- all immediately filling you with a sense of warmth like a lazy summer vacation day during school time. 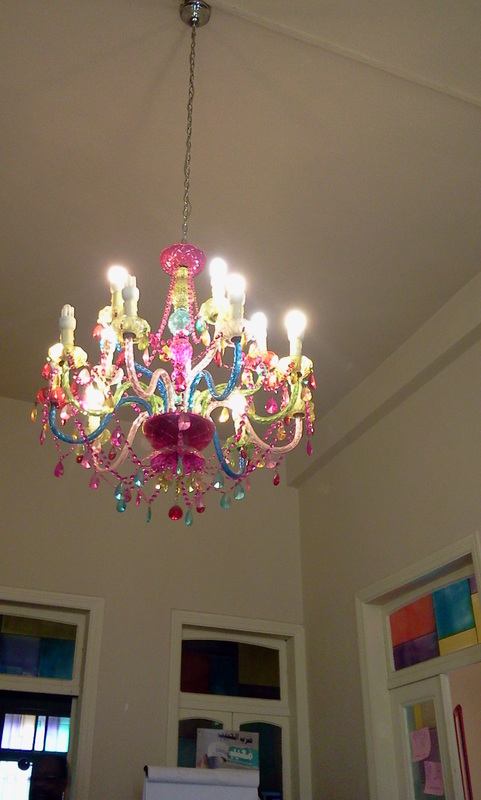 I took photos of everything in the office- from the chandelier and doors to the lazy cat which would walk in and out of office the whole day. The meeting and discussions were very interesting, starting each day with Arabic coffee. We learnt about each other’s work and challenges and innovative approach in involving men for gender justice. 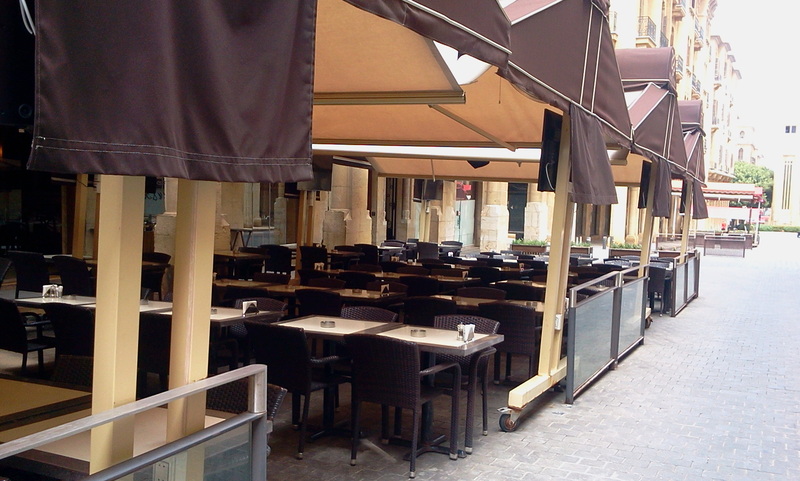 These discussions continued beyond the meeting and into our dinner where we had heated discussions Our hotel was on Damascus road, Museum district and the address made me feel as if I was going on a trip with Agatha Christie. I discovered two new things about myself- I love architecture and more surprisingly, I can read tourist maps! 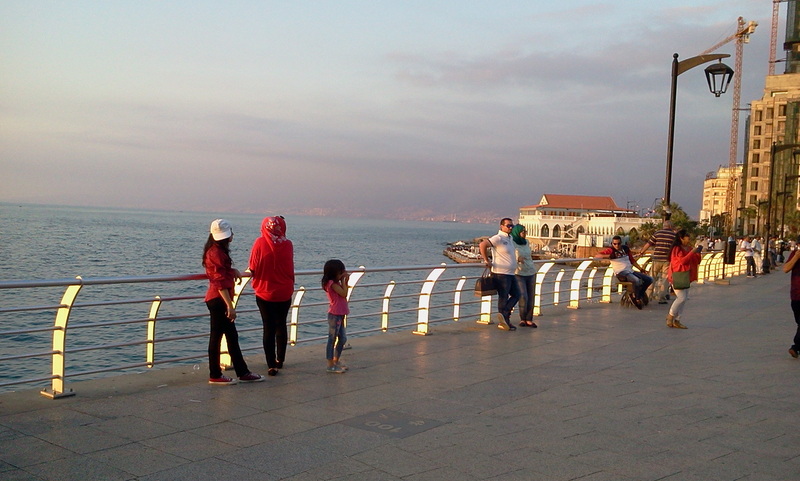 We ate delicious food throughout the 3 day trip and the entire group looked forward to the 3-4 kms long walk on the Corniche- the seaside promenade. We passed signs of the civil war, the bullet and bomb marks on the older buildings, the flame shaped memorial to commemorate Prime Minister Rafiq Hariri’s assassination 10 years ago- all sombre reminders of masculinities and war. 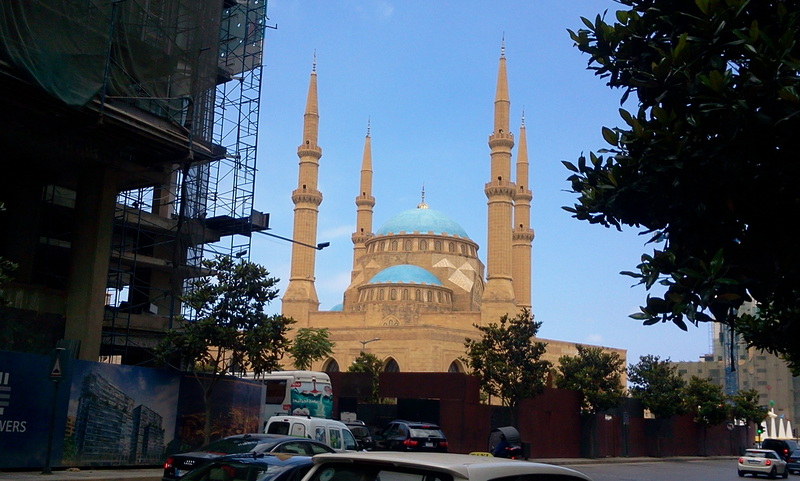 Our last day in Beirut afforded time for sightseeing. Rukia (from Sonke) and I were determined to find a crafts shop or a local market and we travelled from the Souk to the Mohammad Al Amin Mosque and Gemmeyzeh, Ashrafey and Hamra streets! 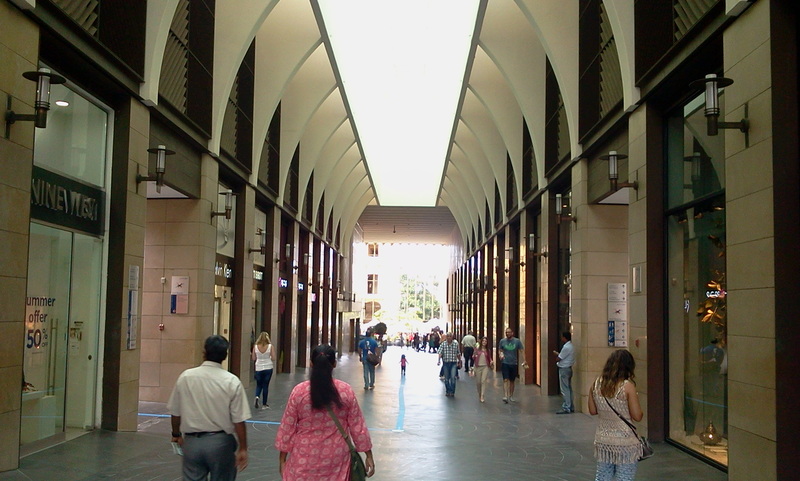 The streets and shops and facades were so fascinating that I soon realised that I enjoyed the architecture more than what was being sold. We did find the farmers market and merrily went about sampling organic chocolates- which made me very sick later! Surprisingly, I could decipher the tourist map and it made us take an interesting walk from a very desolate parliament square all the way to the ancient ruins and then to the ancient Roman Baths and public gardens. On the way back to the hotel in taxi, the driver asked us where we were from. We said India, he siad- Shammi Kapoor! Suku Suku! I will remember this journey for many reasons, most importantly for the very interesting and inspiring work across the world but also the wonderful people I met and the beautiful city of Beirut, its cafes and buildings and its delicious food and that lovely sesame seeds dip called Zaatar! Maternal Health is a issue of women’s human right, is an issue of social inequity as it is faced by the most marginal communities and women in vulnerable situations that kills women on a grand scale. Maternal mortality is also the one-point and the most visible indicator on the quality of primary health services, and poor health systems. As per SRS (2010-12), Madhya Pradesh reports shocking MMR of 230 per 1000 live births that explains the vulnerability of maternal health or women’s health on several counts. However, govt. 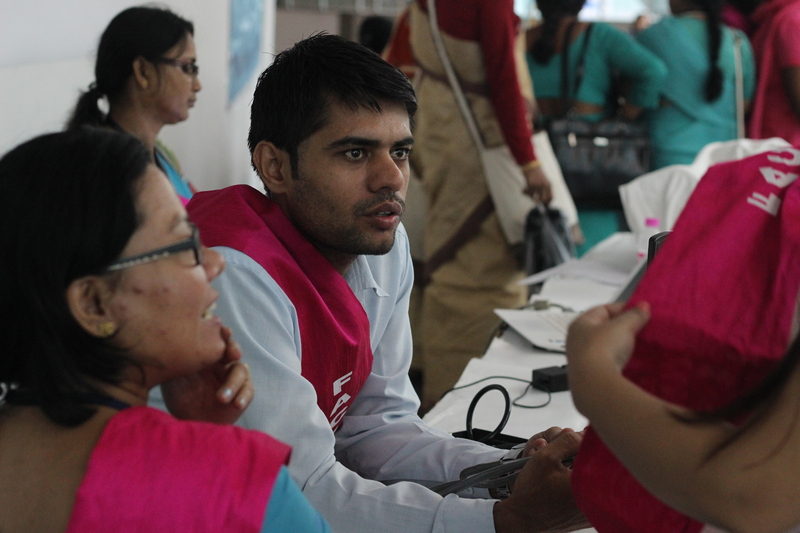 has invested thousands of crores of rupees in NRHM to improve maternal mortality. Despite the efforts from govt. we have failed to achieve the target of reducing maternal mortality, set by MDG. Maternal Health Rights Campaign (MHRC) aims to ensure government’s responsibility for maternal health services, discrimination free access to health services for the women of marginalised sections, monitoring the quality of maternal health services, influencing the policy level issues through advocacy. Maternal Health Rights Campaign (MHRC) was formed as state wide network in 2013. MHRC is actively present across 18 districts of Madhya Pradesh. Working since past two years MHRC has taken various steps to improve the condition of maternal health like capacity building of partner organization and community leaders, community based montoring, discussion with health care providers at various level, Jansamwad and various ICT products and use of media for advocacy. In the 1st series of COPASAH workshop on “Using ICT for Social accountability” in Bhopal, MP, MHRC has learned the use of ICT and finally they have developed innovative ICT products like the photo story, video/audio recording and photographs for evidence generation by using camera and mobile phone. They themselves did the recording and took the photographs on poor quality of services, violations of health rights, denial of healthcare services etc. MHRC also incorporated ICT in Jansunwai that was very effective. 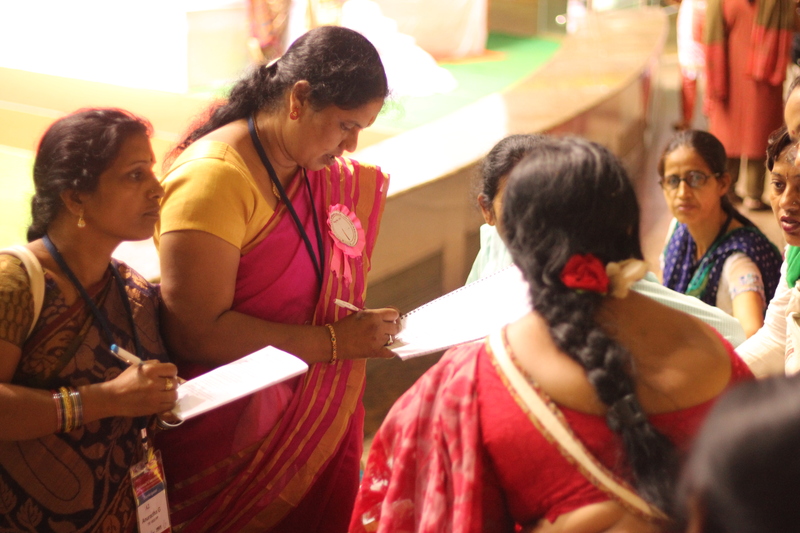 The three districts who were involved in Jansamwad were Seoher, Morena and Chhindwara with the support from NGOs SATHIYA, Dharti Sanstha and Satykaam Jankalyan Samittee respectively. MHRC also faced a lot of challenges while using ICT. Communities were not very comfortable in front of camera while explaining the situation because of the fear from govt. officials. Using camera during VHND process was a very challenging task. They also faced several risks with the community after dissemination of the information provided by them. The inclusion of the community in whole ICT process as they were not very comfortable in revealing the truth was also a great challenge that they faced. In addition to that some more challenges that they faced were lack of new technologies, limited time and resources, collection of the evidence etc. While using ICT, MHRC learned many may important issues like they got a new medium to communicate with health care providers, identification of issues among urban community, Monitoring through ICT, understanding the influence of private sector in urban health system etc. Obstacle number 1: Your daughter won’t go to sleep – your premium writing time – unless you sing “lungi dance lungi dance” or “ringa ringa roses” and dance with her. Obstacle number 3: Your three year old daughter already learnt to use computer and push the delete button. The DELETE BUTTON!! The intriguing word that is COPASAH! यह मेरा पहला ब्लॉग हैं जो मैंने CHSJ ट्रेनिंग में सीखा, महसूस किया, उसका कुछ अंश यहाँ आप सब के साथ शेयर कर रहा हूँ …. मर्दानगी क्या होती हैं ? मर्दानगी के क्या NORMS हैं ? मर्दानगी कैसे काम करती हैं ? मर्दानगी को किस दृष्टिकोण से देखा जाता हैं ? मर्दानगी की क्या पहचान हैं ? यह सभी topic को Role Play के और Act के द्वारा समझाया गया जो की बहुत ही impactful था! कुछ एक्टिविटीज के द्वारा सामाजिक वास्तविकता को भी दिखाया गया! ट्रेनिंग के चोथे और आखिरी दिन जेंडर समानता बदलाव के ऊपर चर्चा हुई और यह भी बताया की हमे अपने स्वयं के स्तर पर क्या करना चाहिये ! ट्रेनिंग में हमे बहुत कुछ सीखने को मिला! मैं यहाँ बताना चाहता हूँ सब ने अपना अपना Experience शेयर किया! ट्रेनिंग के पहले दिन मेरे लिए सब नया था और ट्रेनिंग के आखिरी दिन मुझे ऐसा लगा की हाँ अब मैं भी समझता हूँ मर्दानगी क्या हैं ! मैं इस ट्रेनिंग से आये बदलाव को अपने अंदर समेटने की पूरी कोशिश करूंगा और मेरी हमेशा यही कोशिश रहेगी की मुझे और सीखने को मिले! 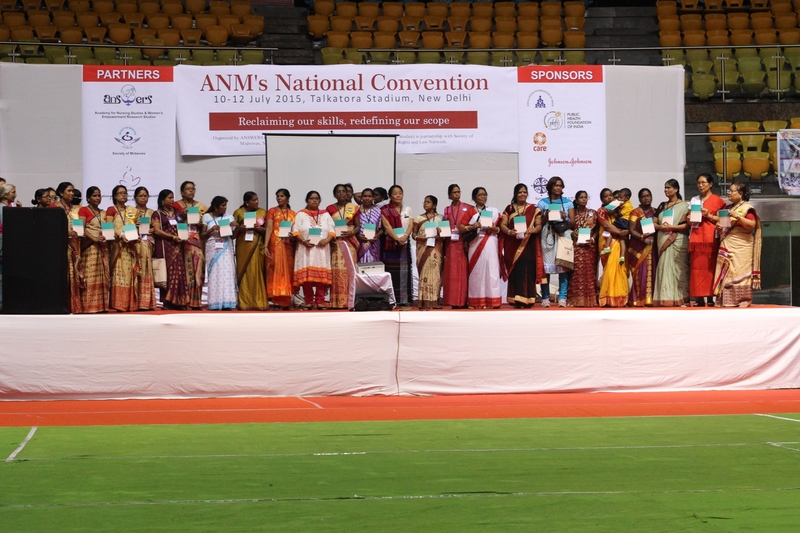 For the first time in India, a National Convention on ANM’s was organised from 10 to 12 July 2015 at Talkatora Stadium, New Delhi, India. 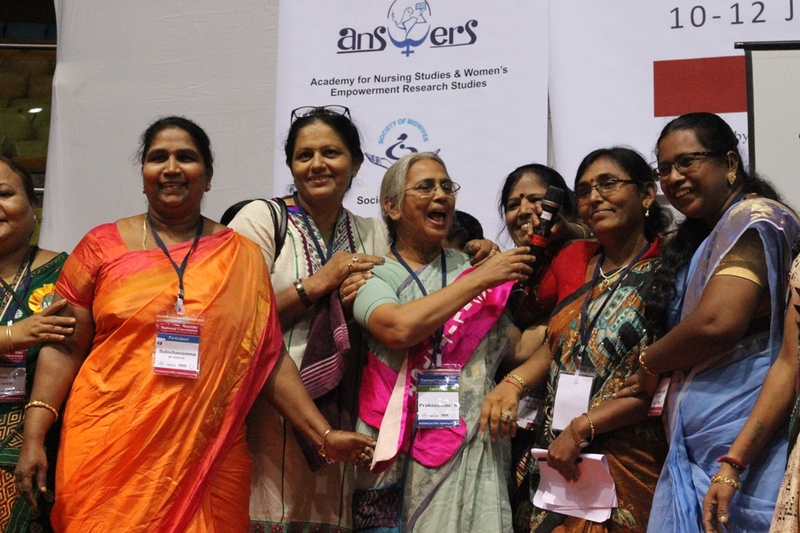 The ANM’s convention is the outcome of extensive deliberations with groups of Auxiliary Nurse Midwives and Lady Health Supervisors. They assembled here to discuss their problems and issues as health service providers. 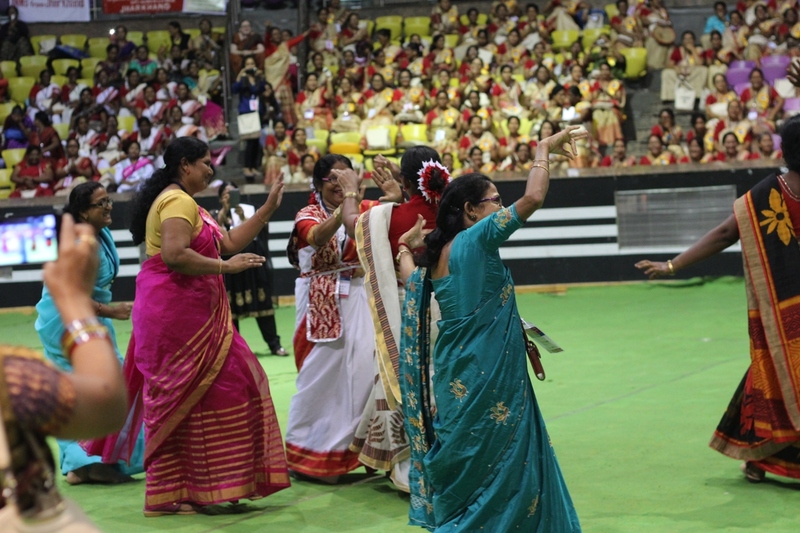 The participants were from 25 states of India. 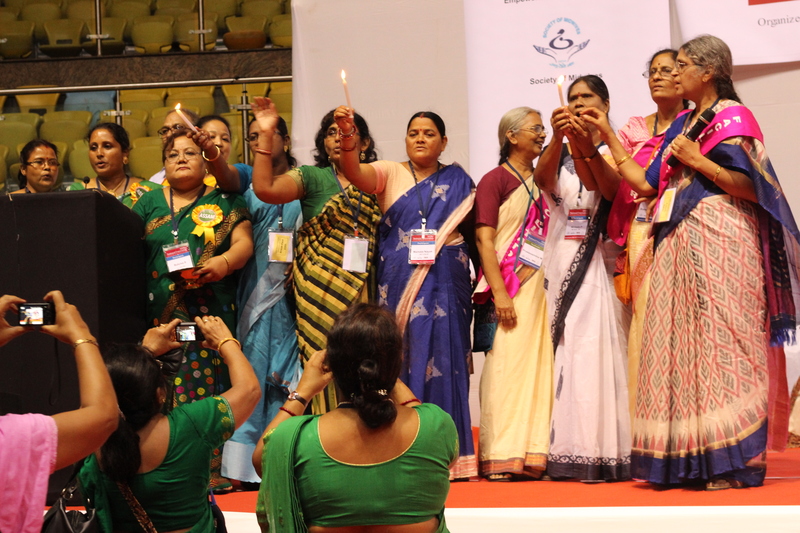 The convention was organised by ANSWERS in partnership with Society for Midwives, India, Human Rights Law Network and National Alliances for Maternal Health and Human Rights. 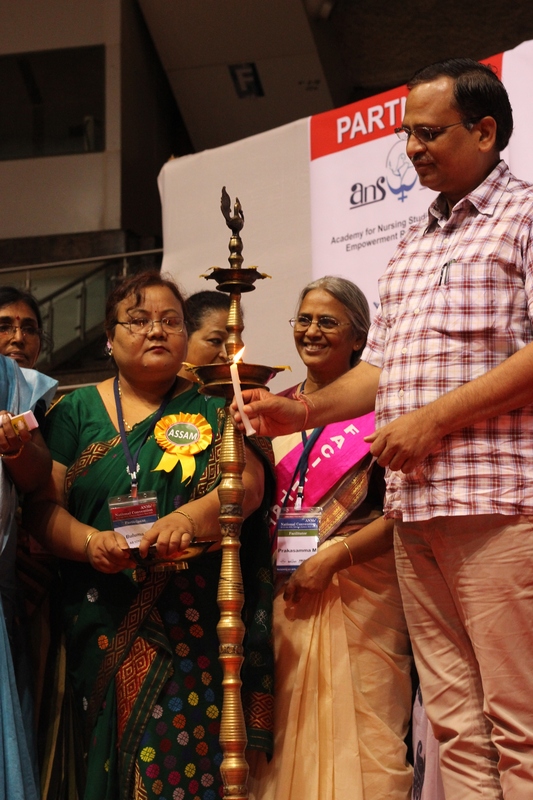 Honourable Health Minister of Delhi Shri Satyendra Jain inaugurated the convention. In his inaugural speech he said that ANM are the first point person in Indian Health System. He appreciated the work of ANM as a health service provider. 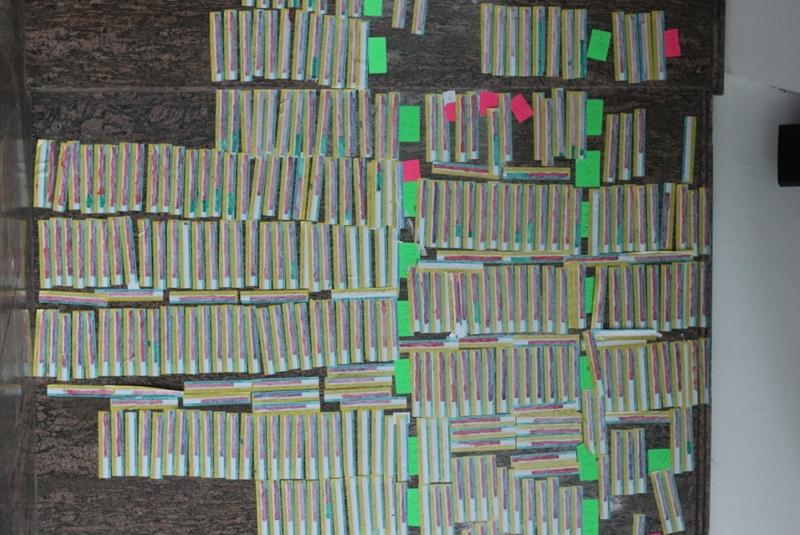 A total of fifteen hundred ANMs did not have only discussions and presentations. They also had fun time too. 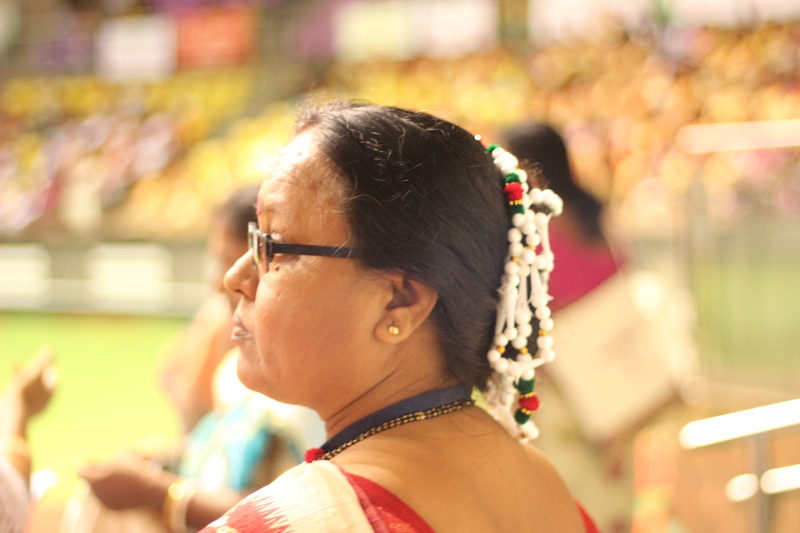 An ANM from West Bengal was ready for her dance performance. 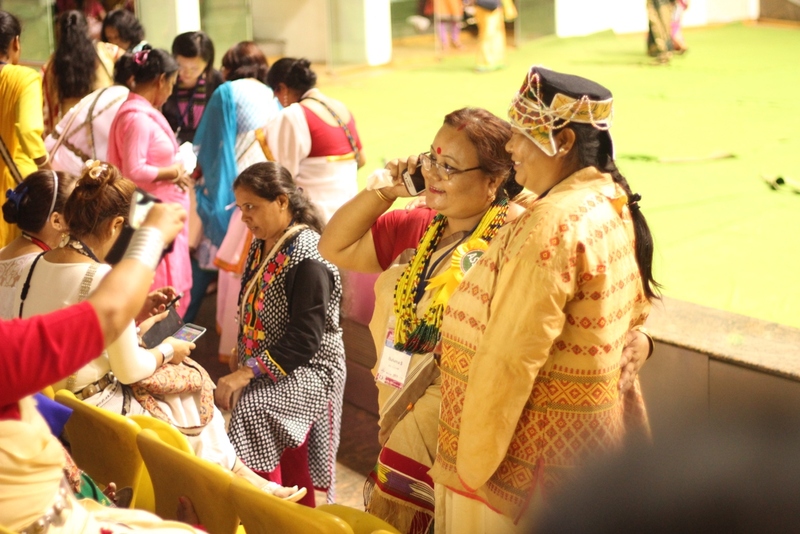 The cultural evening was held on the second day of convention. 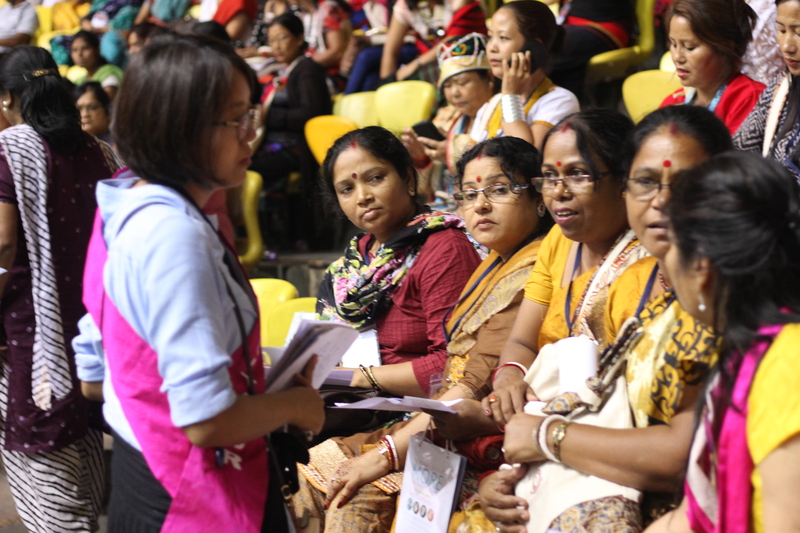 A dedicated nurse from Arunachal Pradesh shared her disappointment on changing their uniform from white to pink by state government of Arunachal Pradesh. 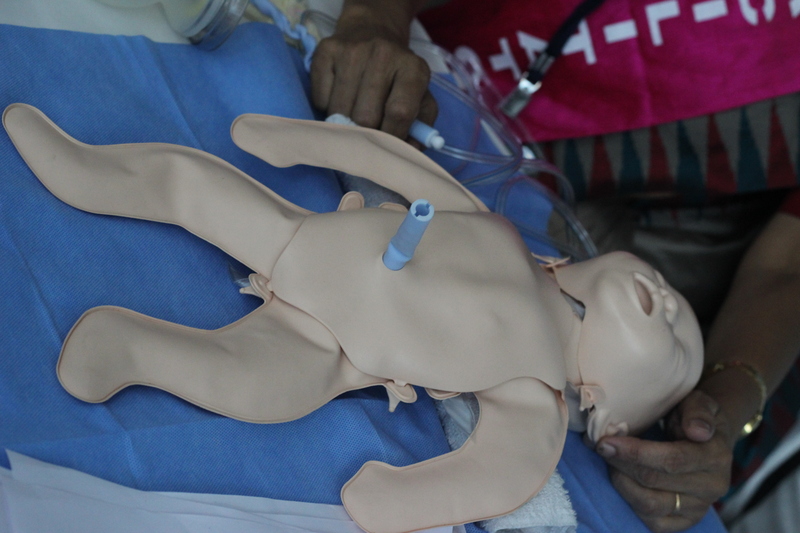 A nurse is demonstrating how to take care of a newborn in a technical session on newborn care. On a legal aid session, the ANMs were told how to approach for legal support. A young lawyer from Human Rights Law Network was having conversation with ANMs from West Bengal. 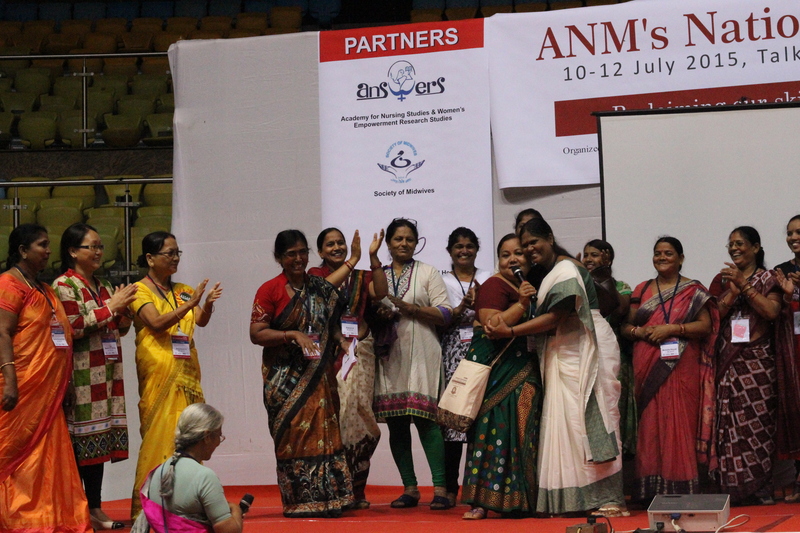 Many ANMs shared problems they faced and these were like abuses, sexual harassment, unnecessary suspension orders. Many a times they need legal support to deal with these problems. HRLN hosted a session for legal aid on the second day of convention. Dr. Sunil Kaul from the ANT, Assam addressing the ANMs. He spoke about the role of ANMs in maternal health care and how ANM could help in reducing maternal and neo-natal death in our country. He also added that ANMs should dedicate themselves to provide basic health services to all section of the society without any bias and with sensitivity to their needs. 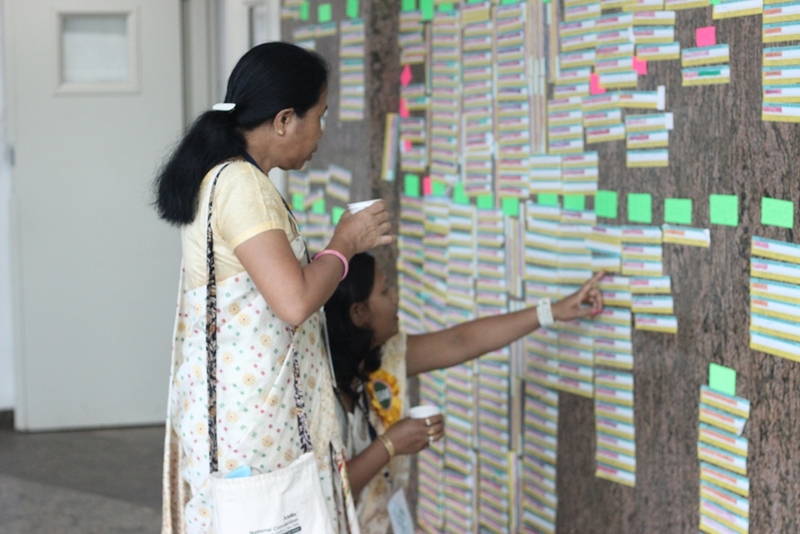 A session was held to map the career path of each ANM who gathered in the convention. All 1500 ANMs participated in the exercise. 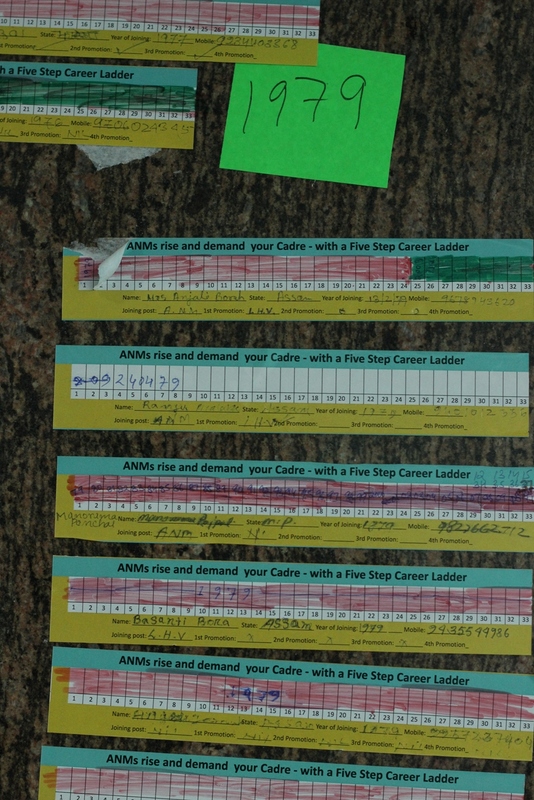 The career graph shows the year of joining to till now. More than 70 percent ANM’s career graphs show that they are in the same position from the day they have joined their job. Small group discussion on future career path on day 3. 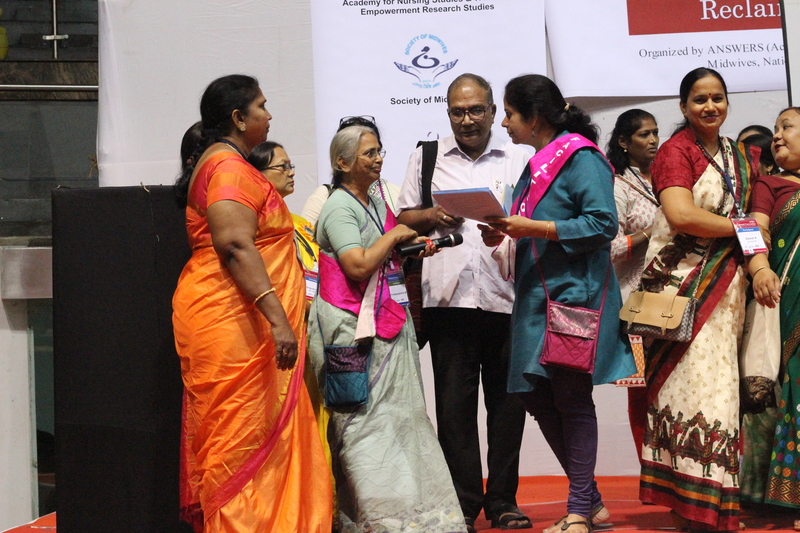 They discussed about the scope of their work as ANMs. 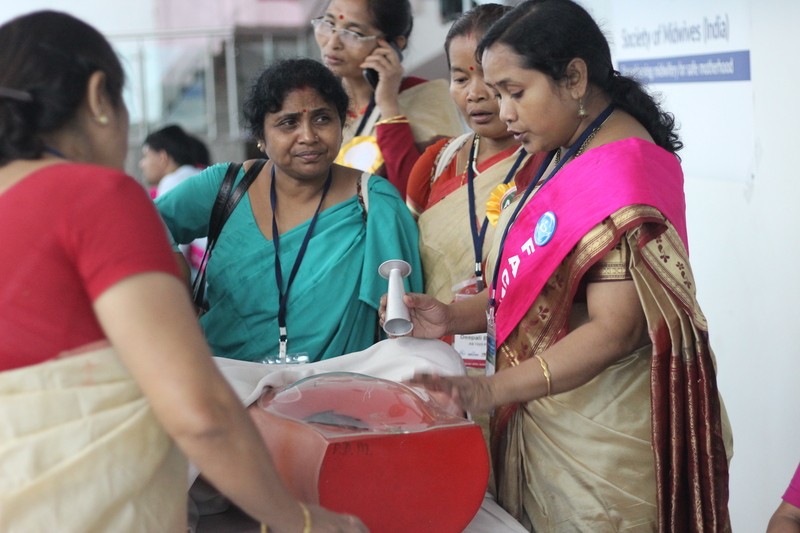 The Talkatora Stadium was colourful for three days as it absorbed the colour the nurses from across 25 states brought with them. 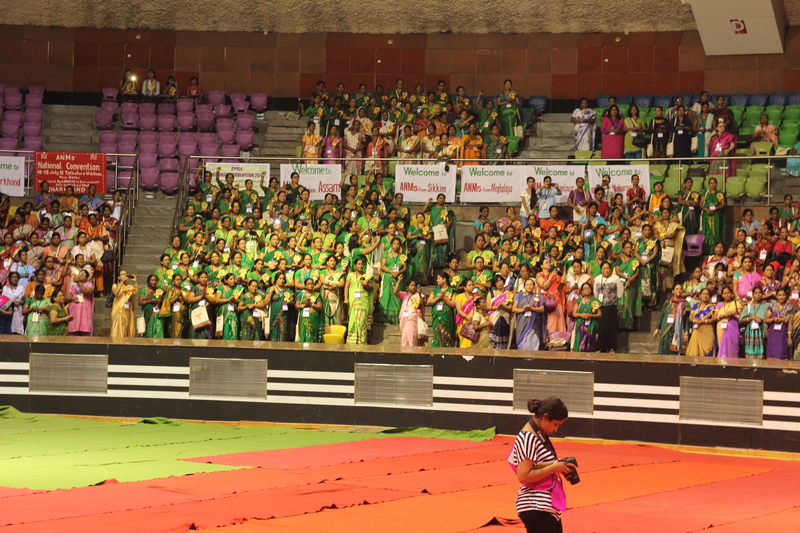 The colours of their vibrant dresses added oomph to the Delhi’s Talkatora Stadium for three days. 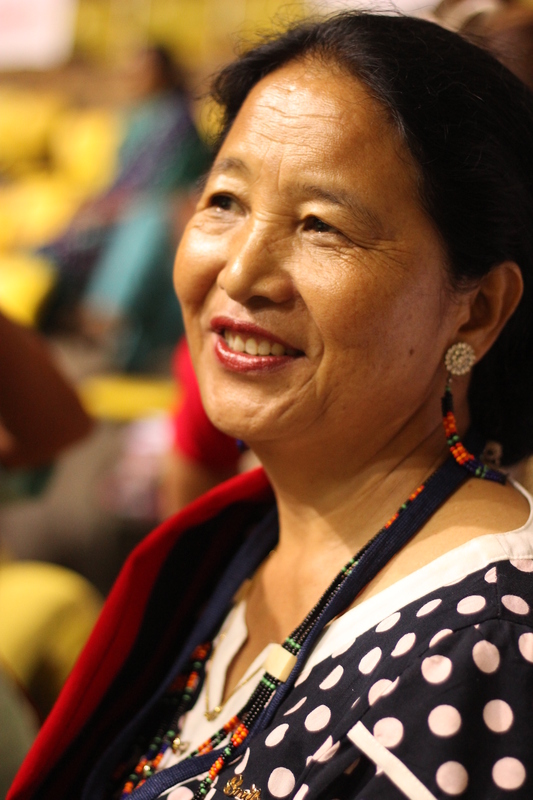 A pretty nurse from Arunachal Pradesh was smiling at me for a photograph and I kind of found of my old age in her. She was happy to share her experiences with me. She shared how her career got stagnant since 30 years. She was appointed as an ANM and remains as ANM since 30 years. She showed her disappointment on the changing dress code of nurses in her state. She said that the nurses look good in white and they were the care givers and white colour gives them the feel of values of Florence Nightangle. 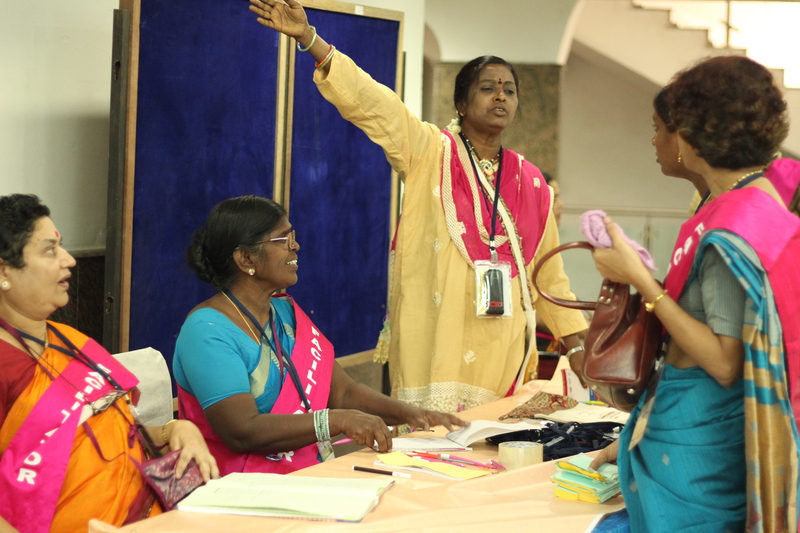 Anjali Devi from Assam shared her happiness on serving the people at her sub-centre. She said that work of ANM is a continuous one and hard work goes into it and it involves identifying range of issues including anaemia to other critical condition in women. “It is quite a big and challenging responsibility. Sometimes we face abuses of community and senior officials” she added. Pooja Nagar from Madhya Pradesh shared her sufferings. She was humiliated and abused by one of her seniors and she complained and raised her voice against it to the higher authority. She was suspended from her job but she fought for her rights and at the end she was reinstate in the job. 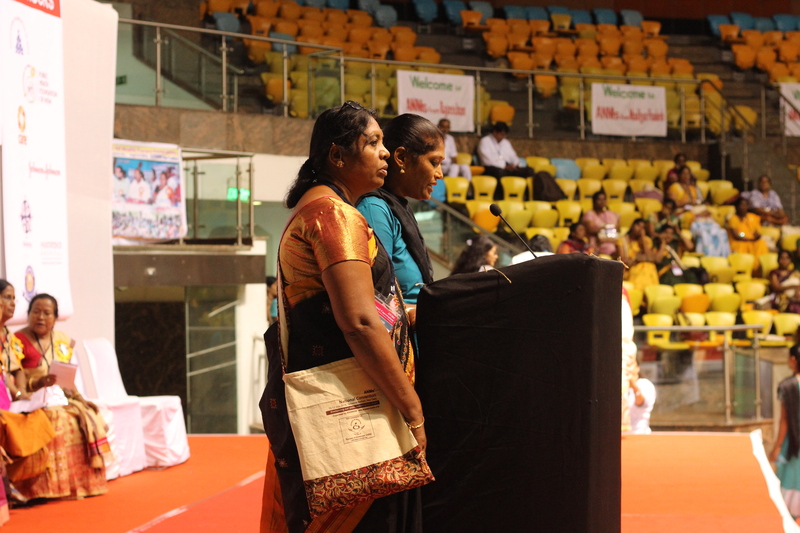 Sushma from Madhya Pradesh shared her problems of sexual harassment, suspension, recurrent transfers over many years. She filed a case in the court and the decision is still pending and she hopes that she will get justice. 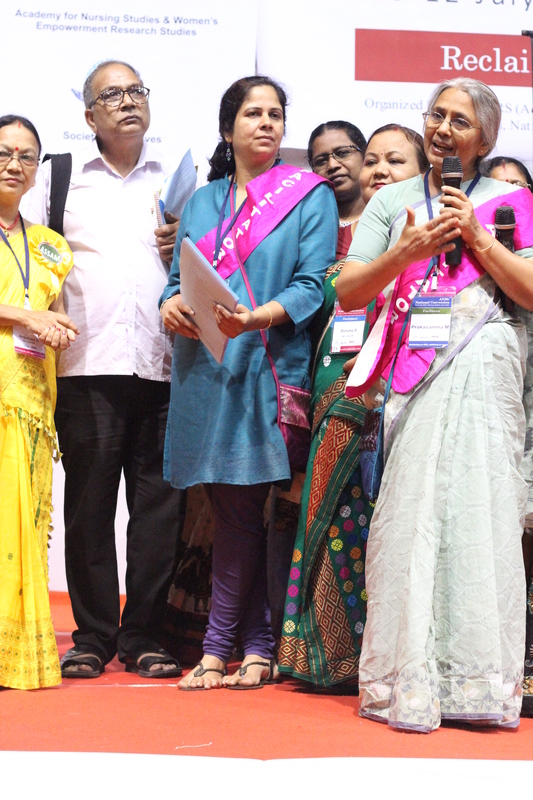 These are some of the stories of ANMs whom I met in the National Convention of ANMs. 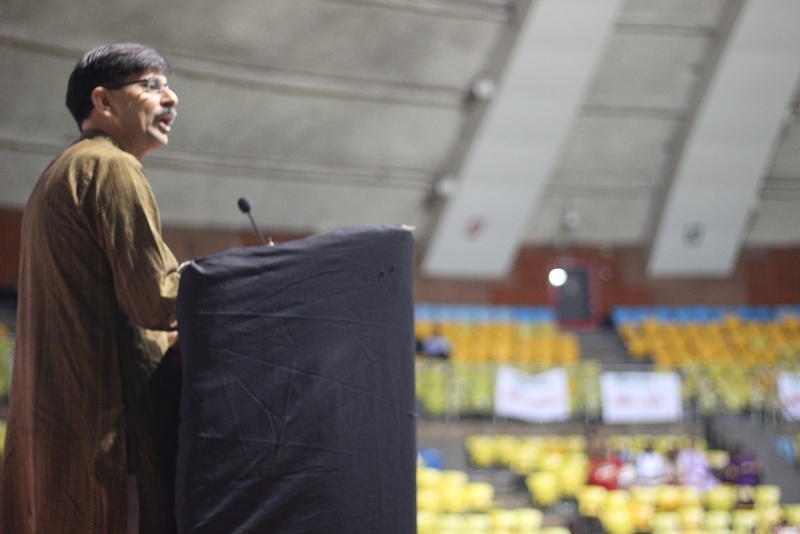 For the first time in India, the National Convention of ANMs was organised in Delhi. 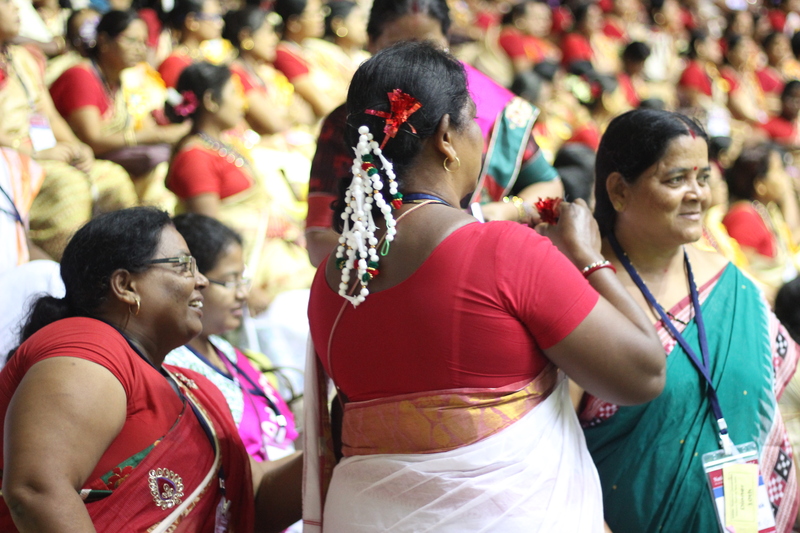 A total of 1500 ANMs assembled and discussed their issues with each other and they also put a demand charter. All the ANMs demand that there should be a regular post and a uniform salary structure across all the states. They demanded for four stage career progressions in their career. 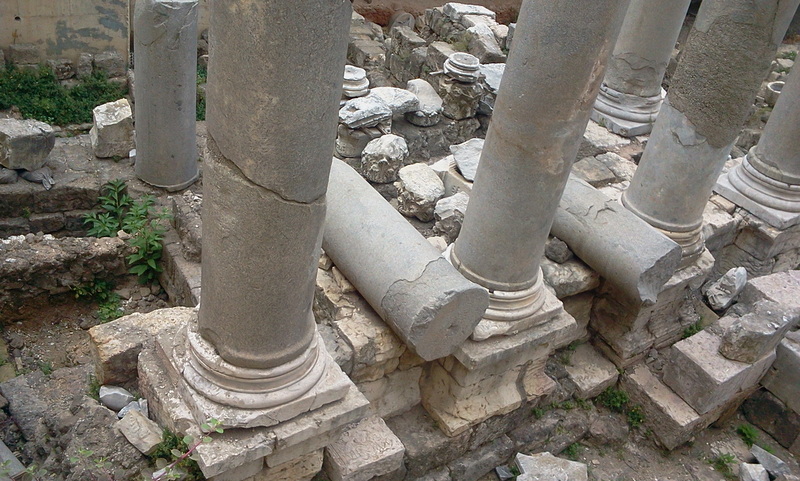 Beirut was a journey of discoveries!